From here, there are two ways in which you can add your tracking code: on all pages, or on select pages. 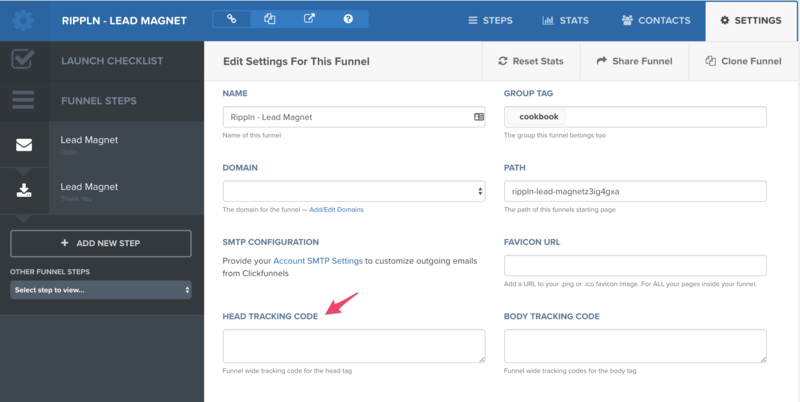 Go to your funnel Settings and click on Head Tracking Code. First go to the Edit Page. From here, click on Settings and select Tracking Code. Then Save your page or Update funnel settings and you should be good to go. 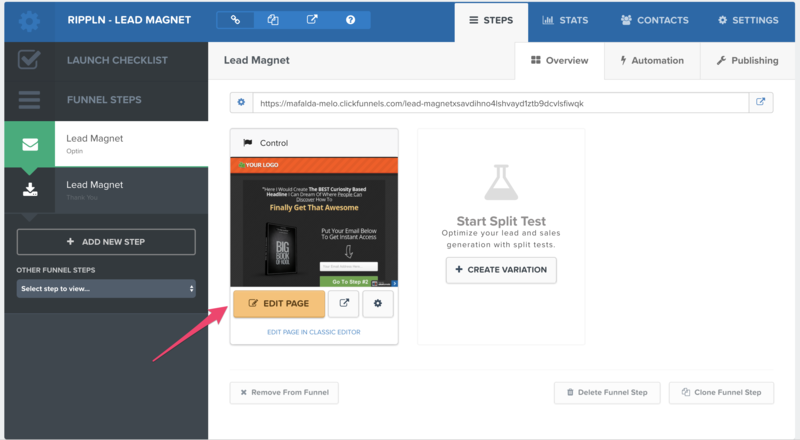 It can sometimes take up to 24 hours for ClickFunnels to detect the tracking pixel on your page. Here is their Tracking Pixel Guide for more information.